Have you ever wondered what you would put on your very own Bucket List ? You might well think to yourself that One bucket list is just not enough.. I need a Bucket List for all my favourite past times. 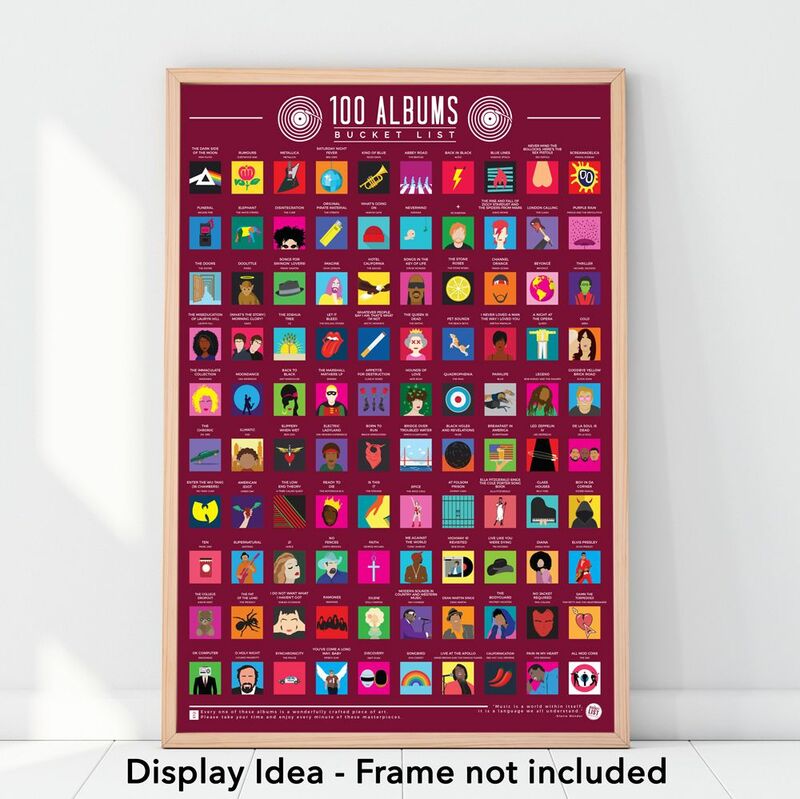 Featured on this great scratch off poster bucket list is the Top 100 Albums you need to listen to. 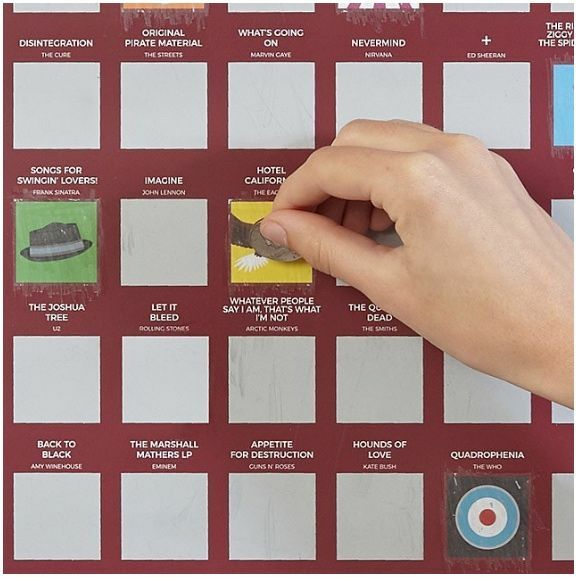 Maybe you can scratch a few off already ?.. Good Start. Then you'll need to seek high and low to keep on getting those hard to find ones. 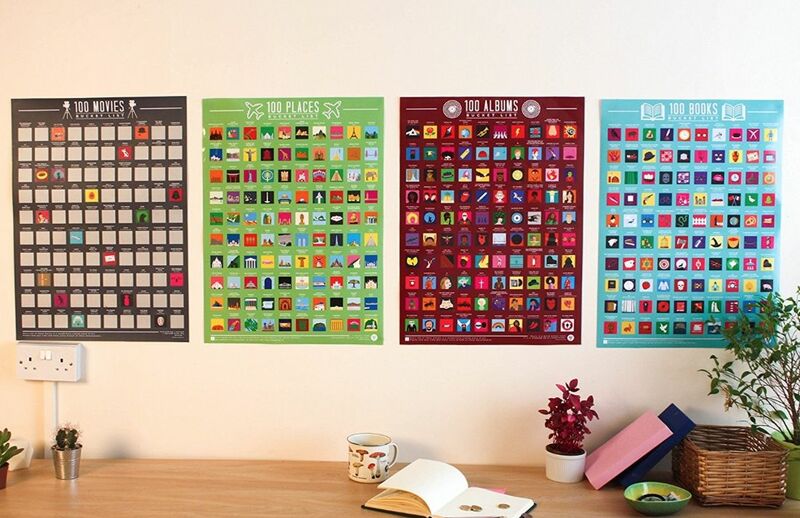 Don't forget, celebrate your achievement by displaying your poster in a prominent place so all can see how cool you really are ! Be the envy of friends and family, create discussion and .. maybe a little competition. 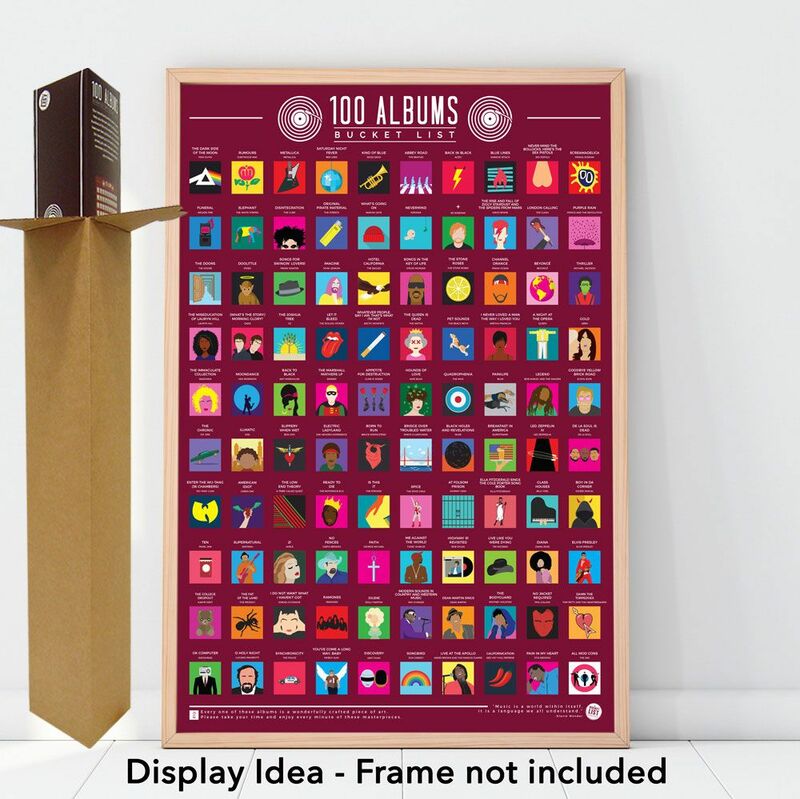 Our Scratch off Bucket lists come in a variety of subjects, each poster comes rolled in a Toblerlone style box, and we add extra packaging to protect it during transport.